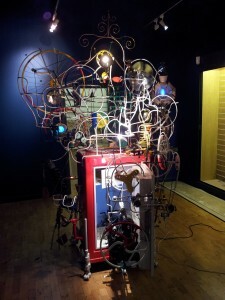 Last Friday, February 10th, saw the museum take delivery of a fantastic machine by the Swiss Kinetic Artist Pascal Bettex. It is in fact the first machine to be fully set-up and installed inside the museum. Here’s a sneak preview, but to see it in action you’ll have to wait till we open!